NPI-1 and NPI-2. Do I need both? A National Provider Identifier or NPI is a unique 10-digit identification number issued to health care providers in the United States by the Centers for Medicare and Medicaid Services (CMS). This number identifies your license type, license level, and specialty. It is helpful when credentialing and billing for health related services. Your license type could be as social worker, professional counselor, marriage and family therapist, etc. This also indicates whether you are licensed as a masters or doctoral level clinician. Your license level would indicate whether you are provisionally, limited or fully licensed. 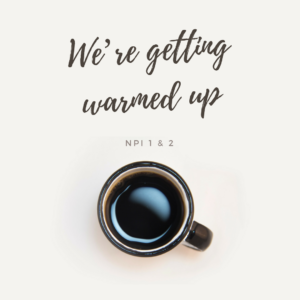 NPI-1 identifies you as an rendering/individual practitioner (The one providing the service). It’s kinda like your social security number. It follows you the duration of your career. Regardless who set up your profile, this identifier is unique to you. You take it with you where you work/go. NPI-2 is an organization identifier. It identifies the place you are providing the service. If you work for an agency this would be your employer’s name and information. If you are in private practice this would be in your business name. Yes. I would recommend that anyone who has a business, and is running it like one, has this in place. From a credentialing perspective your contract with insurance would be at the organization level (for those that allow this). From a billing perspective your billing would be in . the business name. This becomes especially important as you grow your business and your team. Additionally, some insurance panels like Medicaid, Medicare and BCBS require the NPI-2 in order to credential with them. If you’re looking to credential your practice but you’re not sure where to start, check out our Credentialing Checklist to get you started or apply to join our DIY Insurance 101: Getting Paneled for Mental Health Professionals Course. Registration is now open. Class starts soon. If you aren’t a member of our FB Community: Mastering Insurance for Mental Health Professionals, come on over. We are welcoming to INN and ONN providers.